The year is drawing to a close and thus the time for summaries commences. We could write at length about what we have been working on and what we have managed to achieve but we figured presenting our award-winning campaigns will do a better job. We selected and briefly summarised the campaigns that gained jury recognition at Polish advertising contests such as The Effie Awards, The Mixx Awards, the Kreatura Awards or the Golden Arrow. Have a look at our award-winning ad campaigns! How to highlight brand’s relation with a region, its traditions and locals? By coming up with billboards with catchy slogans or maybe by something totally different like bringing back through attractive comic strips as many as 30 tales and legends from Poland’s northern regions? We opted for the latter option and created the Legend of the North campaign – the biggest campaign in the history of Specjal. Enthusiasts of “black champagne” could admire the stories we created not only on external data carriers, murals and limited edition cans but also in cinemas, the press, on the radio and 3D mappings during the Bella Skyway Festival in Toruń. And the effects of integrated actions for the Specjal brand were truly… legendary. At the 2017 nationwide Kreatura Awards we were awarded with a distinction for the campaign, murals and 3D mappings. Plus we also won 2 main prizes – for the comic strips and mini radio play series. The Legend of the North campaign was also recognised at the Mixx Awards; it won the bronze statuette in the Cross-Media Integration category. Škoda Auto Muzyka is the biggest music contest of the biggest automotive brand in Poland. In 2017 we launched the third edition of this exceptional event to which many talented artists entered. What were we looking for? Songs powered by passion and energy – to put it in a nutshell, car ride hits. We dived into the world of sounds together with Internet users and a profession jury – Baron and Tomson, Maria Sadowska, Kasia Nosowska and Dawid Podsiadło. 10 best pieces appeared on the album that hit the Polish music market. The Škoda Auto Muzyka contest won the bronze statuette at the Mixx Awards in the Digital Driven category. Now that was an effective campaign! At the end of October we were honoured for it with a silver Effie in the Beauty and Care category. We will dedicate one of our posts to present what it was all about. And in a nutshell? NIVEA Polska, with which we have been working for 3 years now and as it turns out we will be for the next three, wanted to introduce to its portfolio a new product from the antiperspirant product range. What is so special about it? Thanks to using the ingredients from the iconic dark blue NIVEA cream, NIVEA Protect & Care Deodorant provides 48-hour protection whilst caring for your skin. Bearing in mind the benefits of the product as well as consumers’ trust in the NIVEA brand, we created the main slogan of the campaign – “Effectiveness with exceptional care”, and we developed it in digital channels. Interactive video ads as well as testing the product itself by users registered in the My NIVEA Club were part of the campaign. You already know we are well up in cars and music. We are fluent storytellers of the Legends of the North and we take care of sensitive skin of Poles. But those are not the only areas we excel at. Our campaign for a bank also gained recognition and it was not just any bank – ING Bank Śląski is one of the most prominent financial institutions in Poland. “Those who save can afford independence” is a campaign that encourages Poles in an inspiring way to save for the future. Its protagonists prove that you lead the best and most peaceful life when you have no financial obligations towards anybody. Digital version of the campaign was available on VOD platforms, YouTube as well as on the biggest web portals. 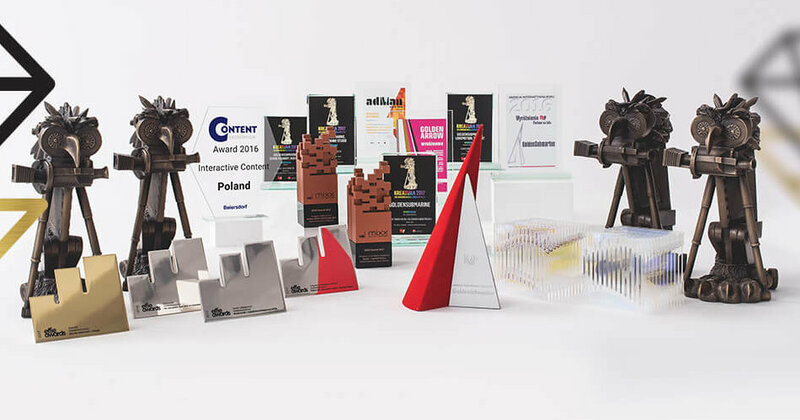 The communication created for ING Bank Śląski received the silver Effie statuette in 2016. Why then do we mention it in 2017? Because despite the fact that a year has passed, the campaign is still as valid today and the bank decided to relaunch it in July 2017. Keep it up! You are well aware we are multitalented. Add to that culinary flair and a dash of Maggi and we have… a golden Effie that was awarded to us for the “Let yourself be surprised” campaign. We don’t have to explain what Maggie is. It is a traditional spice that was prevalently used in your moms’ and grandmas’ kitchens. What was our task? To convince young Poles that Maggi can be added not only to soups but also to hamburgers, pierogis or a variety of pasta. You cannot hide your astonishment? Discover unlimited possibilities of Maggi and you will find out that it tastes truly delicious. Comedy series for women without any brakes that brought car advertising to a new swirly level. Six episodes starring exceptional cars – Škoda Fabia, Suberb and Kodiaq, and 3 female protagonists played by well-known and popular actresses – Agnieszka Więdłocha, Magdalena Różczka and Katarzyna Bujakiewicz. Humour, fun and many stories from women’s everyday life – and all that depicted with tongue in cheek and inside the vehicles, proving that product placement can be performed in a funny, creative and inspiring way. Thanks to a special online video platform and theatrical release we presented the benefits of the vehicles featured in the series to women. And our campaign has not gone unnoticed – it was recognized at the 2017 Kreatura Awards. We could talk endlessly about the “Legend of the North” campaign. Words are of great importance to us, particularly the ones emphasised by unique images and circumstances as was the case in August during the Bella Skyway Festival in Toruń. During the event festival participants had a chance to admire light visualisations, shows and 3D mappings projected onto historic buildings. So we had to be there. What did we present? The legend about the Toruń dragon – accentuated with unique music and voice-over. 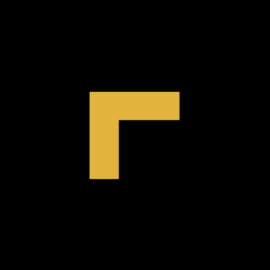 We were awarded a distinction at the 2017 Kreatura Awards. This year is the fourth time Poles will have the opportunity to send their nearest and dearest a traditional paper Christmas postcard. All thanks to NIVEA and GoldenSubmarine crew. The “Nurture closeness at Christmas time” campaign showed that despite the omnipresent smartphones and short text message wishes, we long for tradition and kind words that will not be passed though copy/paste. How does it work? All you have to do is go to www.nivea.pl, add your picture and with the aid of the creator design your own card. Upon receiving the address NIVEA will print out your wishes and deliver it to the addressee to nurture closeness. Each person can design 5 cards, and My NIVEA Club and NIVEA BABY members can create twice as many cards! The campaign was appreciated by the Internet users who have mass-sent their wishes for the fourth time. In 2016 we received a special award for it – a recognition at the Golden Arrow Awards! Word play, hedgehogs and wild manufactory… do you know what we are getting at? Probably there is not a single person that hasn’t heard about the hedges from the Wild Orchard. Those little creatures are pros at knowing how to party, relax, have fun or spend the weekend. That is the reason why we decided to turn the brand’s fan page over to them. Posts with rebuses appeared with more than 2 000 likes beneath each of them and fan engagement surpassed even our wildest expectations. With no incentive such as competitions or prizes, hedgehog supporters on their own developed further adventures of the small protagonists by uploading photos or submitting ideas for riddles. And those splendid actions were appreciated by the jury of the Kreatura Awards; we were awarded a distinction in the Digital Marketing – Social Media category. It is a part of the Škoda Auto Muzyka competition. Apart from the major prize of recording a song for an album, an additional one was awarded – shooting a professional video clip. The voting process was truly innovative. Recorded at the ŠKODA Garage – a place specially created for this purpose, casting footage was shown as a pre-roll ad on YouTube to Internet users. The performer with the lowest skip-ad rate won. The campaign scooped two prizes in the Innovation Ad contest. Another ad campaign for ING Bank Śląski. Conducted since 2014, it won the silver Effie in the difficult but highly prestigious Long Term Marketing Excellence category. The campaign focused on the fact that a loan can be treated as an investment product, which can pay off in the future and earn returns. The bank was depicted as an advisor that enables its clients self-fulfilment and development. Beauty, beauty products, skin care and a multitude of devoted female consumers – My NIVEA Club encompasses all that. A loyalty platform for lifestyle and beauty product fans who treat NIVEA as their close friend. The website we created reinforced the expert image of the company and increased the number of NIVEA product recommendations on the Internet. Articles, infographics, video chats with cosmetologists and midwives as well as psychotests and contests prompt the consumers to enhance their contact with the brand. More than 500 000 users have joined the Club and the website itself has been recognised as the best social networking platform of the Beiersdorf Group in the world. Monte is an exceptional dessert loved by Internet users. To interest them in the sweet game, we came up with the MONTErs contest. What did you have to do? You had to design a new packaging and label and select colourful crunchy toppings. In addition, we turned the brand’s fan page into a chocolate factory and we encouraged visitors to explore it. The jury chose two winning designs that hit store shelves. Thousands of applications and the involvement of Monte fans were noticed and recognised… The campaign was shortlisted for the Golden Arrow Awards in the Digital Marketing – Internet Campaign category and for the international Digital Communication Awards. The Internet of Things is something that does not cause surprise anymore and to a large extend it creates our everyday reality. However, combining medicine and innovative technology in an ordinary device is not as commonplace as one might think. Braster is a device created in Poland that with the use of thermography allows women to perform breast self-examination at home. As part of our cooperation with Braster, we created the “Your healthiest habit” campaign, present in both digital and outdoor channels. The campaign slogan was not chosen at random, it alluded to regularity which crucial when it comes to detecting breast cancer in its early stages. Braster was nominated for the 2017 Mixx Awards. Incredibly MANlike Real-Time Marketing action that showed NIVEA beauty products ideally fit in with male body care and the passion of many men – football. UEFA Euro is a major event in the life of a guy. Unfortunately sometimes for one reason or another you have to skip the broadcast. Therefore during Euro 2016 we helped the men who were not able to follow live the Polish team during the games. Every time our team scored a goal for about 15 minutes we display an ad on the Internet which read „ Po Gooooleniu”/ and without razor burns. After each victorious game the Internet was filled with out ads stating “Our team did a smooth job”. The campaign that was shortlisted for the Golden Arrow Awards was conducted thanks to programmatic marketing platforms. A public campaign that we put into motion during the Skandia Lang Team Marathon – currently after rebranding Vienna Life Lang Team Marathon. Its main aim was to educate children and youth about road safety for cyclists. “Positive spins” stalls where you could get on a bicycle stimulator and “spin” long kilometres, were set up in special fan zones. Each “covered” kilometre was transferred to one of three schools. The winning school won a set of reflectors and road safety workshop conducted by Dorota Stalińska from the Nadzieja Foundation. The “Positive spins” campaign won the first prize in the international Günter Geyer Award for Social Conscience. And now it’s time for our showreel!